From statement boots to these loafers, there was no shortage of fuzzy footwear on Prada's Fall '17 runway. 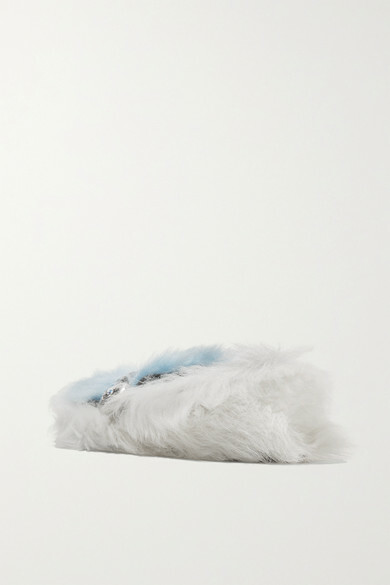 This white and sky-blue pair has been made in Italy from plush shearling and topped with a crystal-embellished silver bar. They have a pebbled rubber sole and are lined in soft leather. 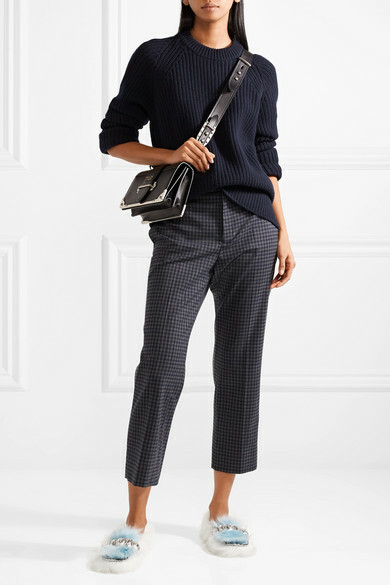 Shown here with: Prada Sweater, Prada Pants, Prada Shoulder bag.